Defense Ministry publishes casualty statistics for all operations in defense of Israel and the pre-state Jewish community since 1860. The Family, Commemoration and Heritage Division of the Defense Ministry, which is responsible for the Memorial Day events, was held this year for the arrival of more than a million and a half people to the military cemeteries throughout the country. 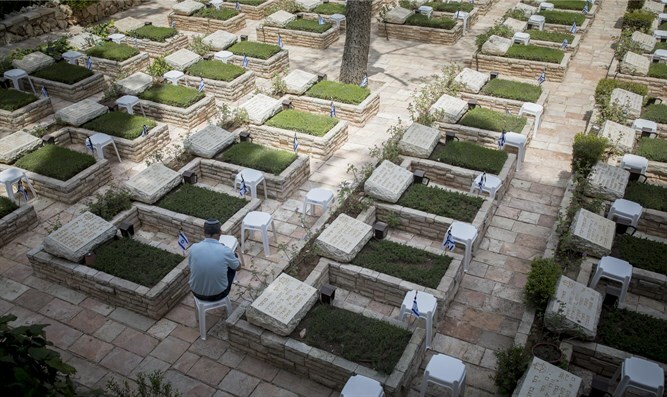 The division's activities span 52 military cemeteries and hundreds of military burial plots, from Kiryat Shmona to Eilat, and thousands of graves in the various communities. The scope of activities includes renovation, maintenance, cleaning and gardening of cemeteries, polishing and replacing damaged or old tombstones, expanding access to cemeteries and handicap for the handicapped and elderly population, while paying attention to each family member.